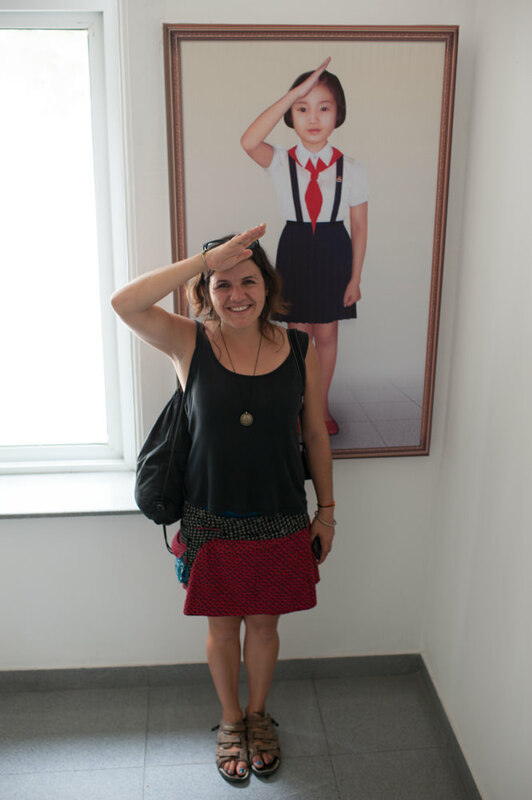 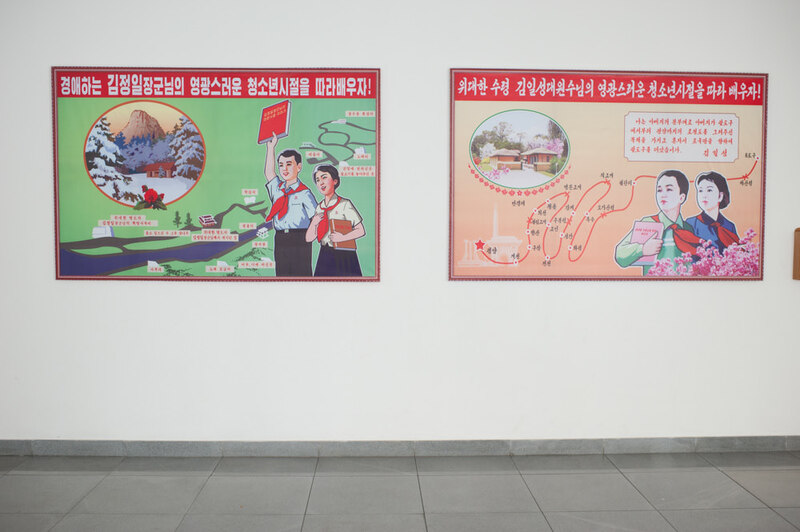 A great place to get your photo taken with cute Korean kids while gaining some insight into North Korea’s education system. 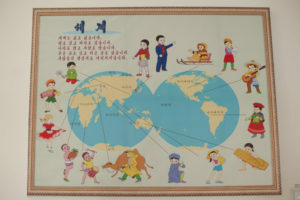 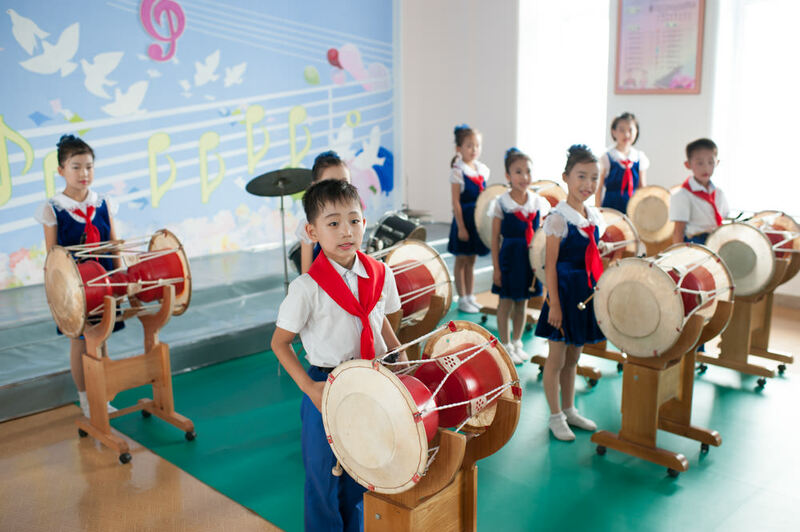 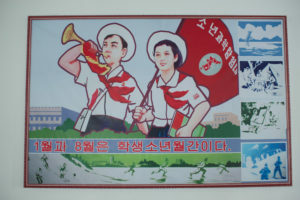 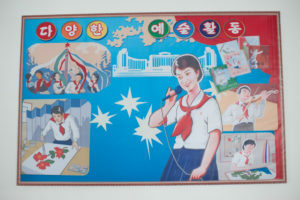 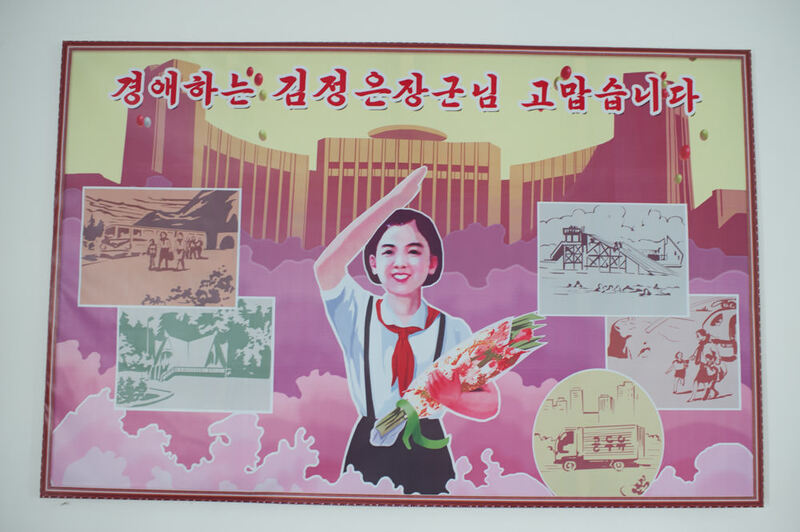 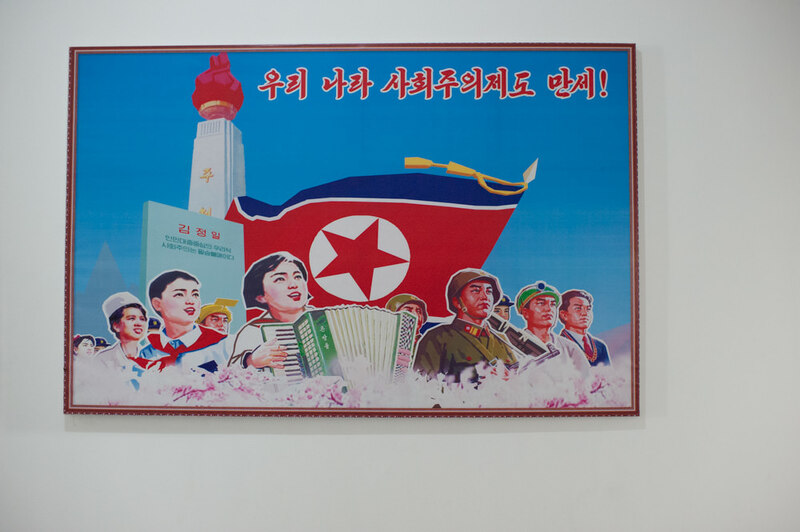 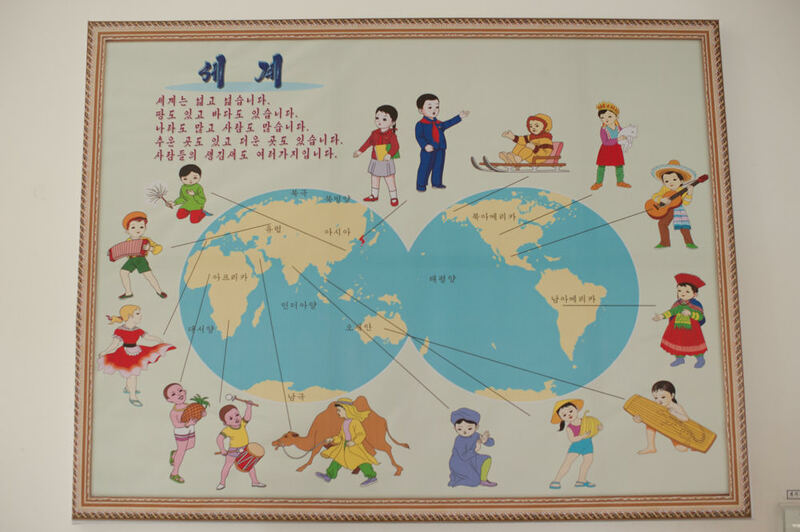 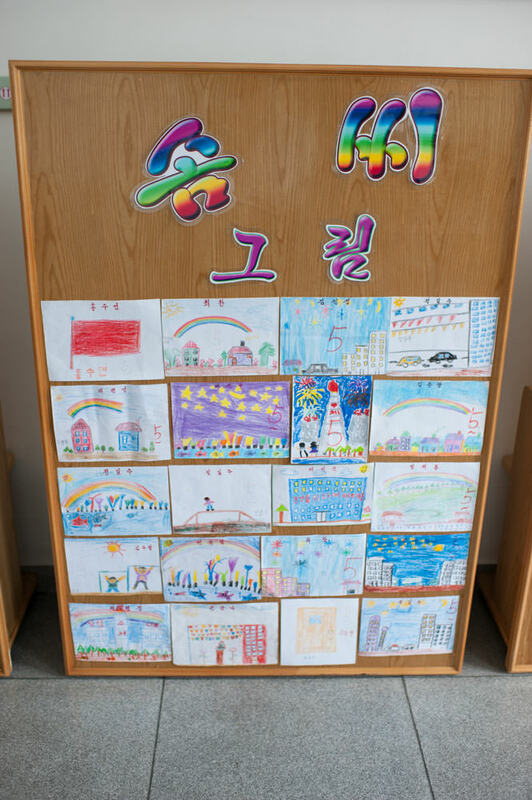 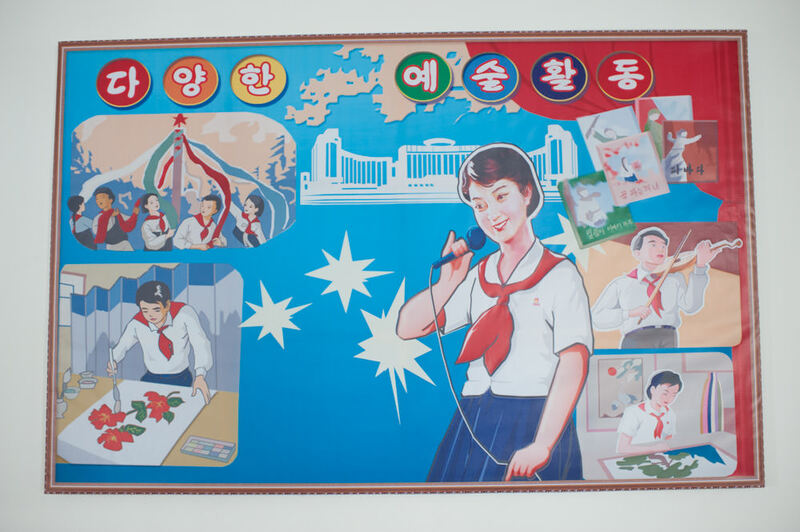 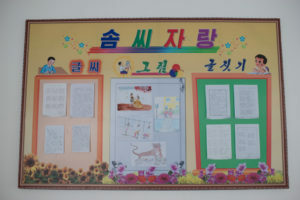 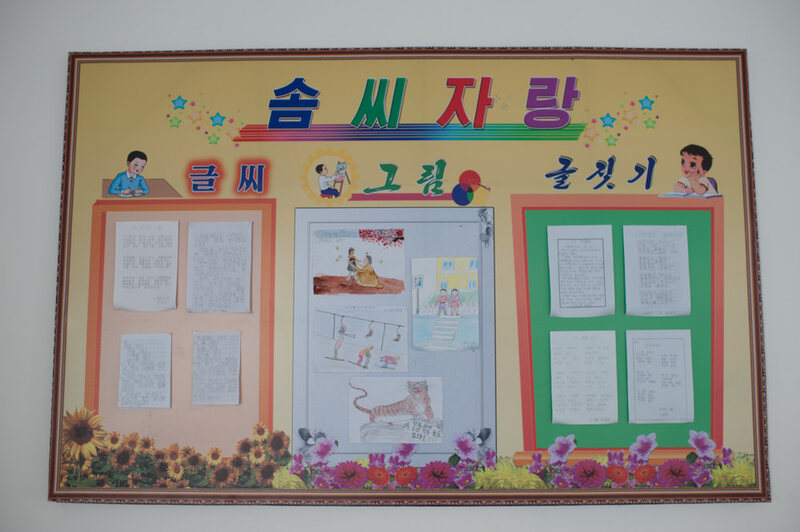 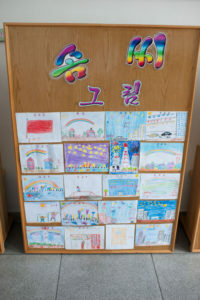 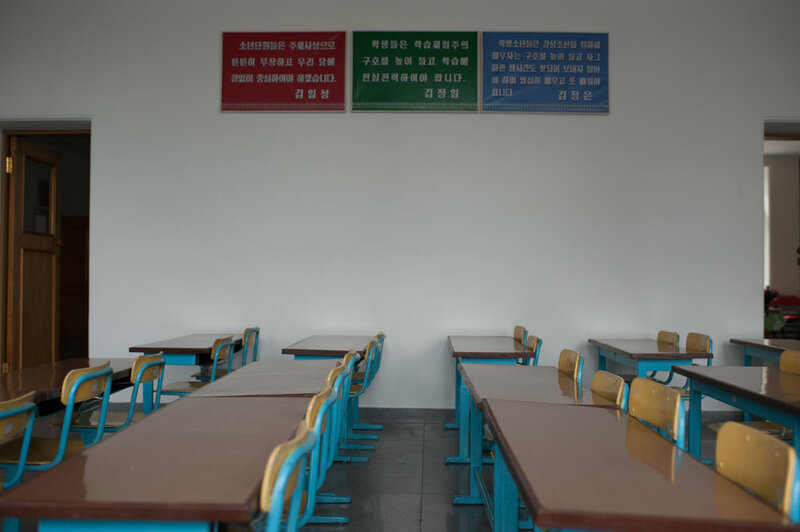 Kim Song Ju Elementary School was first built after liberation from Japanese colonial rule in the 1940s as Pyongyang Number 2 People’s School (평양제2인민학교). 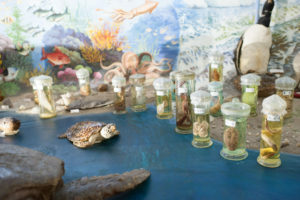 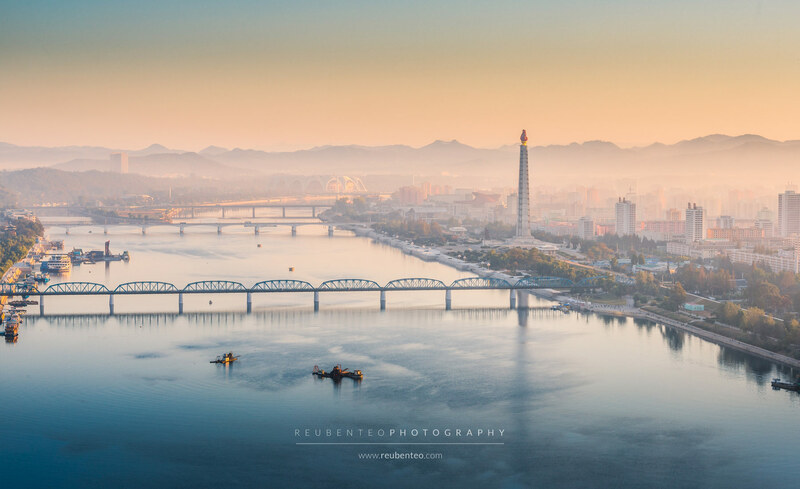 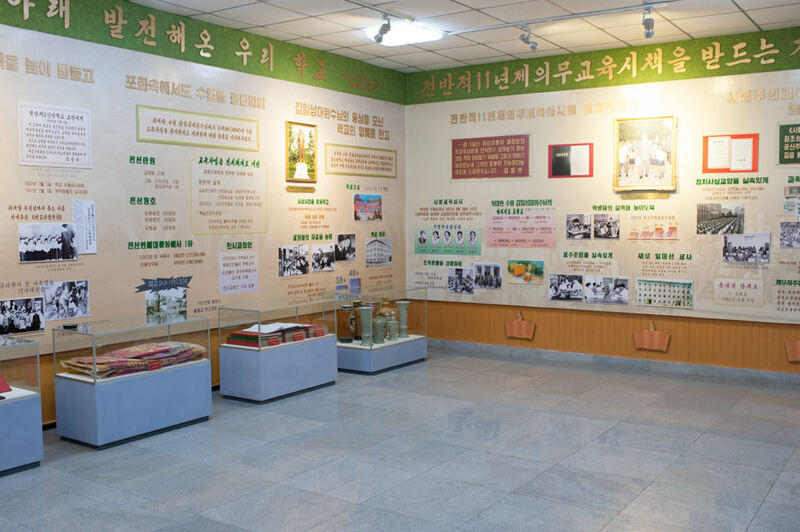 It was renovated in 2012 around the time of the 100th anniversary of Kim Il Sung’s birth. 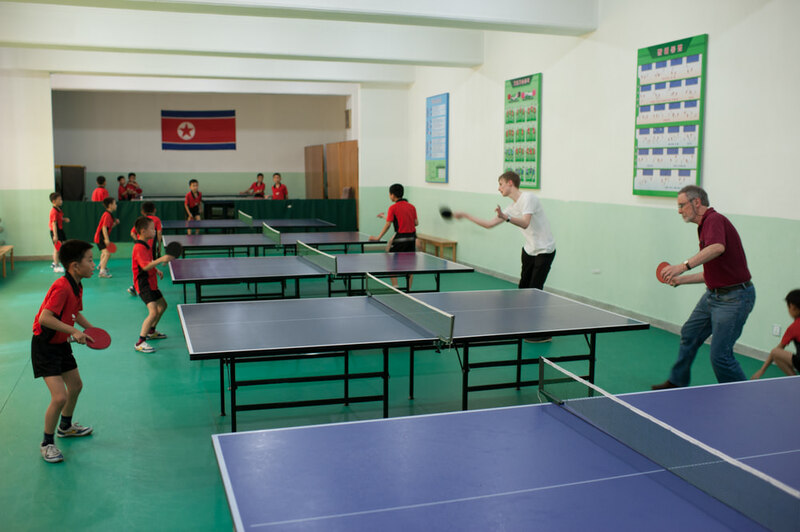 The table tennis class is very skilled! 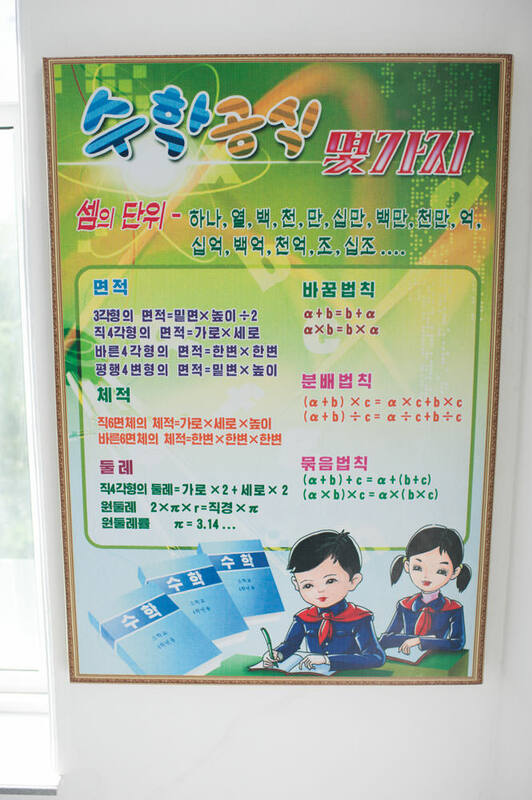 Playing against these children will be a real test of your ability. 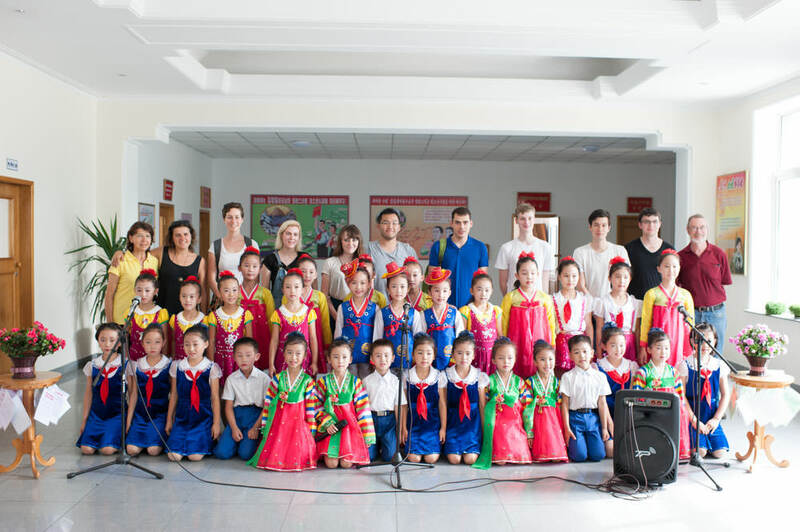 The performances—which consist of song, dance, and folk arts, will also blow you away! 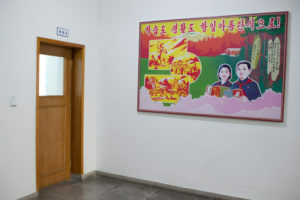 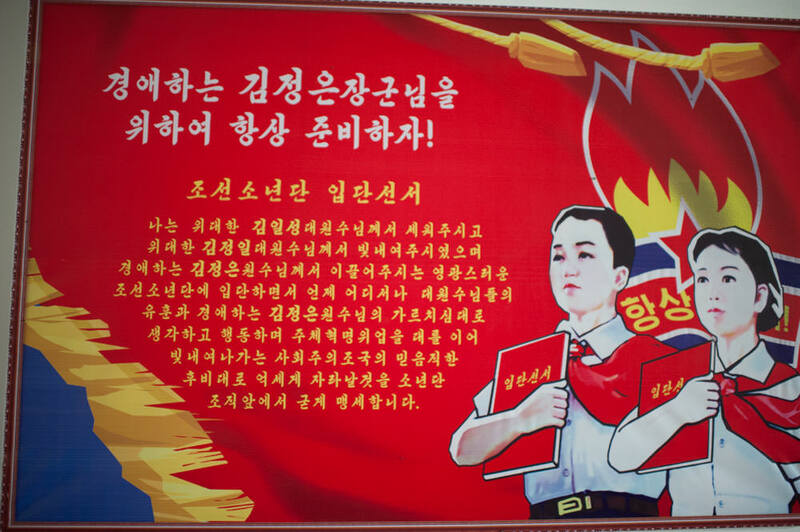 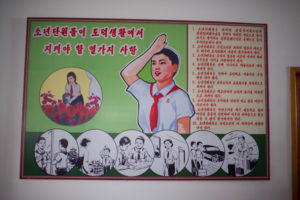 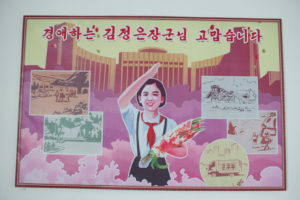 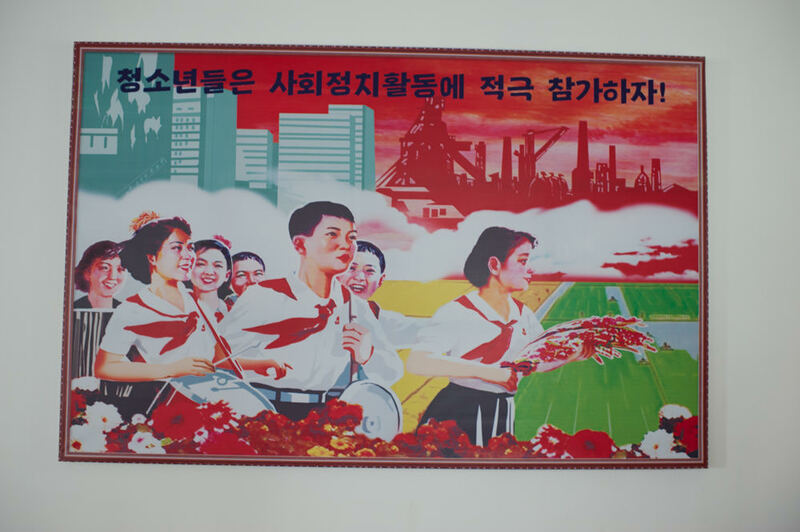 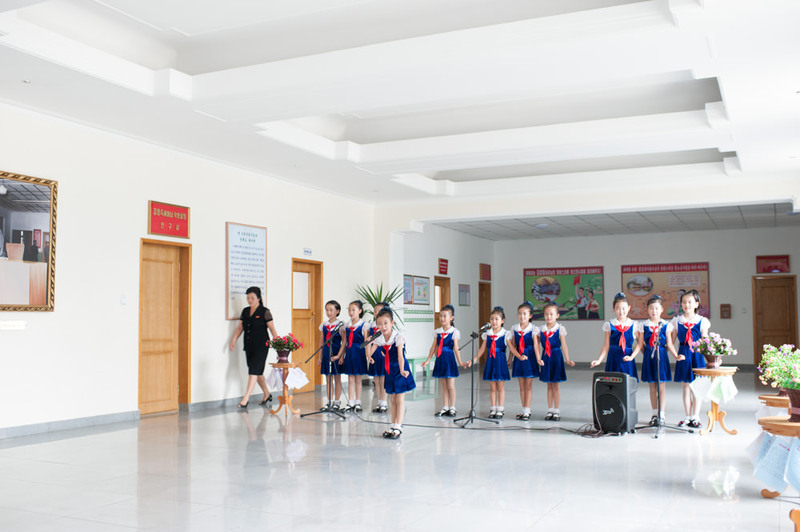 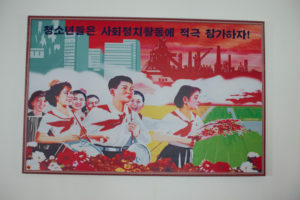 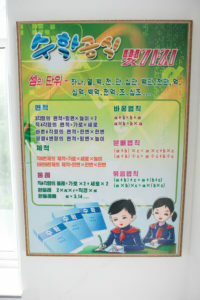 The school is named after Kim Il Sung. 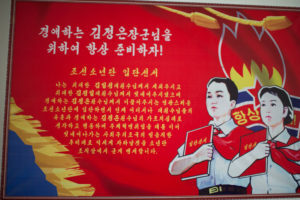 Kim Song Ju is Kim Il Sung’s birth name. Kim Il Sung was taken on as a name during his years in his 20s fighting as an anti-Japanese guerilla in Manchuria. 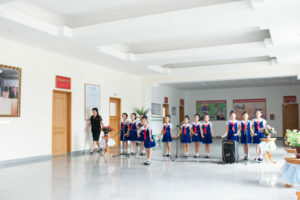 A bronze statue of Kim Il Sung as a youth can be found at the front of the school.